Expansive Clay Soils In Texas And Foundation Repair. Many property owners know that expansive clay soil in Texas causes problems. Foundation repair is often needed. This is particularly true in areas such as the Dallas and Fort Worth metroplex. That’s because of Texas soil conditions. While some soil contracts, other kinds of dirt expands when it’s wet. Expansive clay soils and the need for foundation repair in Texas are frequent homeowner concerns. Whether you’re in Dallas, Fort Worth or elsewhere, the three primary types of soils are: (1) sandy soils (2) clay soils and (3) loamy soils. Sandy soils are the type that are considered “light” soils and have large soil particles that are loose, thus allowing water to drain easily. 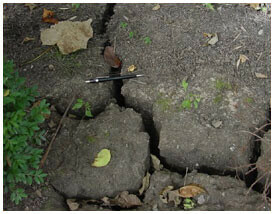 Clay soils (commonly called shrink-swell soils) are highly expansive and common in the North Texas area. These are the types of soils that contractors commonly deal with when repairing foundations. Clay soils are generally regarded as “heavy “ soils, and consist of tiny, tightly packed particles. Because they are dense, they can be difficult to work with. They become very hard and dry. What’s more, they cause fissures. Fortunately, Texas foundation repair contractors can offer solutions. Clay soil is not only expansive, it is extremely absorbent. It gains a tremendous amount of volume when wet. These expansive soils consisting largely of clay can be orange, brown or grey. Loamy soils fall somewhere between clay soils and sandy soils. They are composed of particles of all sizes and have good moisture retention and drainage properties. Soil can cause a great many issues. You’ll want to read about causes of foundation problems. Its imperative that homeowners learn about foundation repair solutions. Fact is, having your foundation restored is less costly if you resolve any problems that you might have right away. If you have concerns, call HD Foundations. The main reason many Texas property owners need their foundations fixed is because this soil creates major foundation issues. Fortunately, professionals have techniques for dealing with these situations. Expansive soil contains smectite clays and that’s the type that absorbs water. The more water they absorb, they more they swell. When they expand or swell, they exert a great deal of strength and put pressure on the vertical face of a foundation, causing lateral movement and foundation cracks. In addition, expansive clay soils contract when they are dry. That’s why you’ll need to repair your foundation and fix any damage you find. According to the American Society of Civil Engineers, nearly one quarter of all homes in the U.S. have some foundation damage as a result of these soils. In fact, it’s been established that foundation damage is responsible for more financial loss to property owners than hurricanes, tornadoes, floods and earthquakes combined. Texas’ expansive soils and their impact on your foundation really add up. The damaging effects of these soils include large gaps in foundations. This is estimated to exceed two billion dollars annually. This figure can be specifically attributed to soils that contain clay. To deal with foundation damage caused by expansive soil, local foundation repair contractors use several techniques for fixing structures. These methods include pressed concrete foundation piers and steel foundation piers. They both stop foundation damage. Concrete piers are used more often because they don’t cost as much as steel pilings. Clay soil found in the North Texas area has expansive properties can exert tremendous pressure on buildings when it expands. In fact, this pressure has been estimated to be as high as 14,000 pounds per square foot. Buildings of all types are likely to sustain foundation damage if they are constructed on clay soils that are expansive. Single-family homes are considerably more likely to suffer significant damage that requires foundation repair than apartment or office buildings. That’s because structures of this type are so large. The weight of the heavy buildings can actually minimize the amount of soil that swells in the expansive clay. And remember: Not all foundation cracks caused by expansive soil are serious. A soil engineer can test soil to determine its plasticity index. This index measures how well the clay soil will maintain its plastic characteristics. Clay with a plasticity index of of over 50 is thought to be highly plastic and very expansive. Because these high plasticity clay soils can gain or lose up to 75% of their original volume, they can seriously impact your foundation. And since the amount of shrinking and swelling of the soil is rarely the same across broad regions, some areas with higher clay content in the earth may experience more damage than others. Why Do Clay Soils In Texas Expand And Contract? They do this in because these types of soils belong to a group of minerals called silicates. While clay soil is compromised of many elements, the main ones are aluminum, silicone and oxygen. Other elements can be included in the clay minerals including sodium, calcium, magnesium and more. 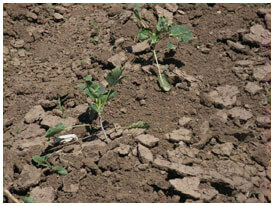 Blackland Prairie clay soils, which are found in the northern part of the state, cover over 2.2 million acres of land. Another reason why the clay soils in the Dallas and Fort Worth metroplex frequently expand and contract is because of their mineral content. The earth in North Texas consists of ash, glass and volcanic rocks. The aluminum silicate minerals in these volcanic rocks ordinarily decompose and form expansive clay minerals. These minerals are part of what is called the “smectite“ group. Foundation repair contractors know all about the harm these expansive soils can do and how they can crack your foundation. You’ll want to read about how to stop issues and avoid foundation damage in Texas. There is a second group of clay soils that is composed of sedimentary rock that creates clay minerals. That group is found in other regions of the country and does not impact structures constructed in Texas. To learn more, consult HD Foundations. If you have an older home that is positioned on clay soil, it’s quite likely that your foundation will experience substantial differential foundation movement and require foundation repair due to shrink-swell soils. If highly expansive soils are indicating foundation movement or causing foundation cracks, brick cracks or more, you should contact a foundation repair contractor right away. 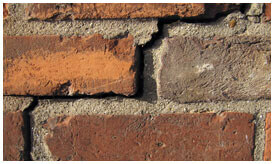 We fix foundation damage using common methods that are effective in swelling soils. 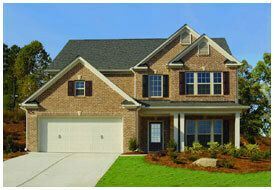 For more information, get a free foundation repair estimate online or just call HD Foundations. We service the entire DFW Texas area.